The Sani Hire story began in 1978 in Sydney NSW and expanded into Melbourne Victoria shortly after. It was created to supply the highest standard of Portable Sanitation, servicing and quality toilets for events, functions, domestic, commercial, and construction industry requirements. 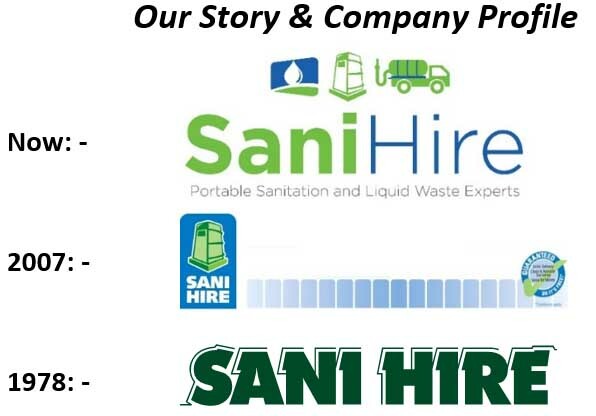 Sani Hire has grown into one of the largest independent suppliers of Portable Sanitation in the Greater – Sydney and Melbourne metropolitan areas, unlike our competitors our specialty is in all aspects of Portable Sanitation and site management, becoming the market leader in the servicing of portable toilets, waste tanks, liquid waste removal and associated products. Being a market leader in the service of all associated portable sanitation products helps gives us an understanding of your needs and enables us to tailor services to suit. We now have a fleet of over 20 vehicles across 3 branches which gives us plenty of scope to relocate vehicles depending on customer demand, which minimises downtime and in turn reduces risk to you, our customer, of not been able to supply service. In turn making your site more efficient or event more enjoyable. With a workforce dedicated to giving quality service, we pride ourselves on having a reputation that is the envy of our competitors. We continue to lead the way and are in the process of our Service Technicians becoming fully certified by the PSAI (the Portable Sanitation Association International) which standardises, builds and formalises our 38 plus years of experience and it will be an Australian first to achieve this. All our services are done to and above all government and industry regulations and guidelines including; Work Safe (VIC) and Workcover (NSW); we also have an Environmental Policy and an Enterprise Agreement in place and we find the combination of all this help minimise risk and downtime especially on construction sites. 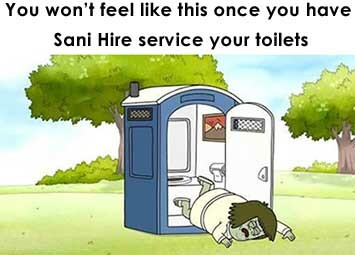 Sani Hire really cares what we do and have a strong work ethic and reputation to uphold and will always endeavour to continue and give the highest quality service to our customers ensuring a safe, hygienic and healthy working environment while minimising risk in providing clean portable sanitation.